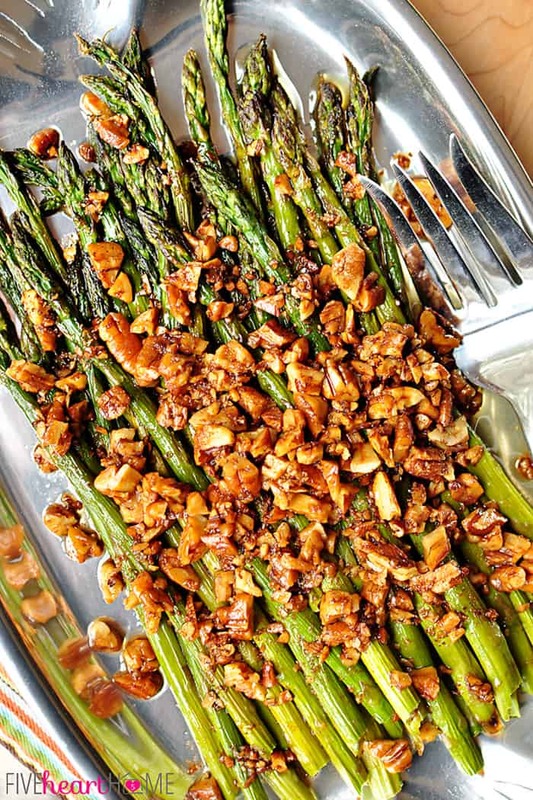 Tender roasted asparagus is perfectly complemented by flavorful brown butter and toasty pecans in this delectable spring side dish. Spring officially begins this week!!! Can I hear a giant Hip, Hip, Hooray?! I know that some of you wonderful readers are still blanketed in snow (I’m so sorry), but the fact that spring has commenced calendar-wise means that spring-like weather can’t be all that far behind…right? Spring is arguably the best season in central Texas. For one thing, it’s warm, but not yet 167-degrees. That, in turn, means that things outside are actually green (for the only time of the year). I know that a lot of people love fall, but in Texas, we just don’t have all of the gorgeous, color-changing trees with spectacular leaves in shades of red, orange, and yellow. But what we do have come springtime are Hill Country wildflowers, and let me assure you, they are breathtaking. The Hill Country is an area of central Texas known for being — you guessed it — hilly. In my entirely unbiased opinion (since I grew up there and all), it’s one of the prettiest parts of Texas. And to come full circle, that’s particularly true in the springtime when bluebonnets (the state flower of Texas), red Indian paintbrushes, and an assortment of yellow wildflowers grace the sides of the roads and the highway medians for miles on end. Most of the wildflowers found along the Hill Country roadways can be attributed to former First Lady “Lady Bird” Johnson, who was instrumental in getting the Highway Beautification Act passed. As First Lady, she dedicated much effort to not only protecting wildflowers, but also to having them extensively planted to beautify the roadsides. And anyone driving through central Texas come April is able to fully appreciate her efforts. So what does all of that have to do with asparagus? 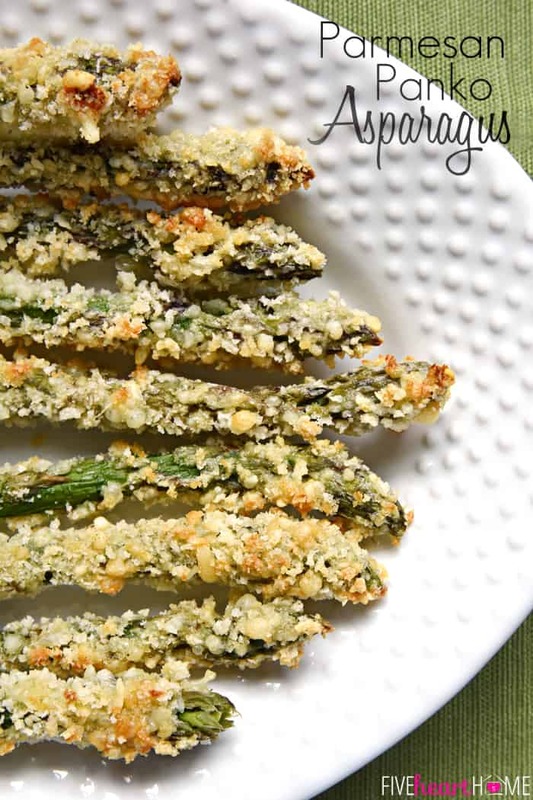 Well, much like bluebonnets, asparagus is widely associated with spring! This tasty green veggie shines as a spring side dish, and I just don’t think I could make an Easter dinner without including it. My favorite way to cook asparagus (as well as many other vegetables) is to roast it. 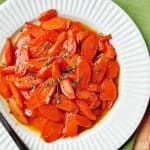 I happen to think roasting brings out a wonderful, almost caramelized flavor in veggies. If you prefer, however, you can certainly boil or steam your asparagus instead of roasting before finishing it off with these mouthwatering brown butter pecans. While I’ve made sweet treats featuring brown butter before, I hadn’t yet tried it in anything savory. People! What took me so long??? I’ve always loved the flavor of toasted pecans, but toasting them in the butter as it browns? To die for. Seriously, you could pour these brown butter pecans over any vegetable and I would happily devour it. SO, SO GOOD. 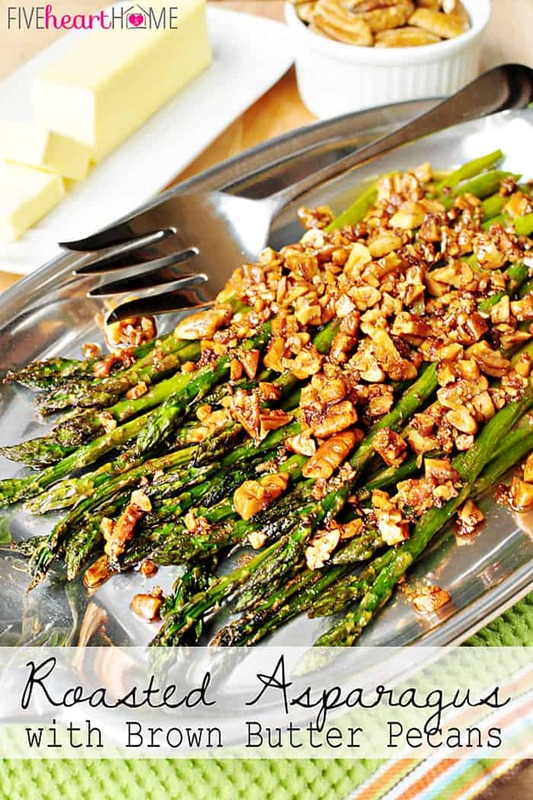 With that, I hope you will try this Roasted Asparagus with Brown Butter Pecans as a springtime side dish or even as a part of your Easter menu. 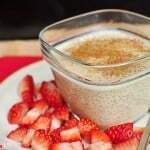 It’s deceptively simple to make and it’s sure to be a hit with everyone who tries it! Preheat oven to 400°F. Prepare asparagus by washing it and snapping off the tough ends of the stems. Place asparagus in a large bowl or plastic baggie (I use a long, rectangular shaped plastic container that fits the shape of the asparagus bunch). Pour in a couple tablespoons of oil and season with salt and pepper. Mix until asparagus are evenly coated. 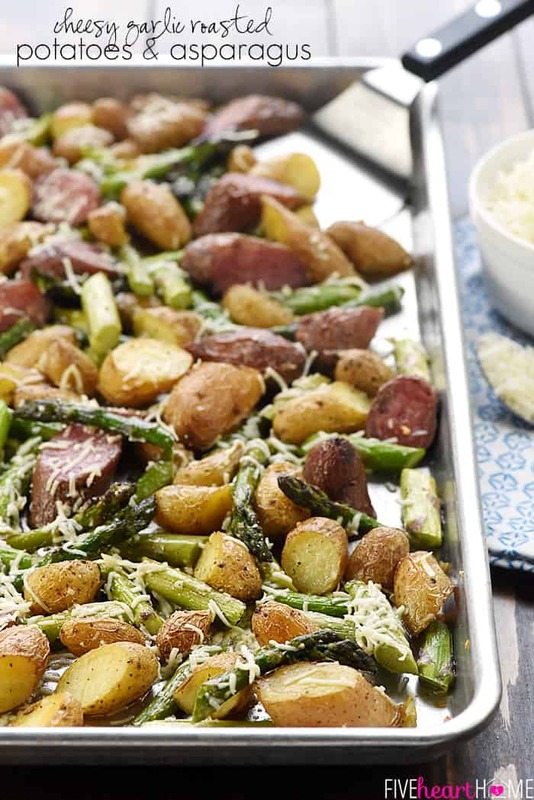 Spread asparagus, in a single layer, onto a large, rimmed sheet pan. Roast asparagus for 10 to 15 minutes (depending on desired doneness and how thick your spears are), or until spears are just tender and beginning to brown. 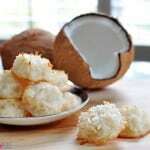 Taste and season with salt, if desired. 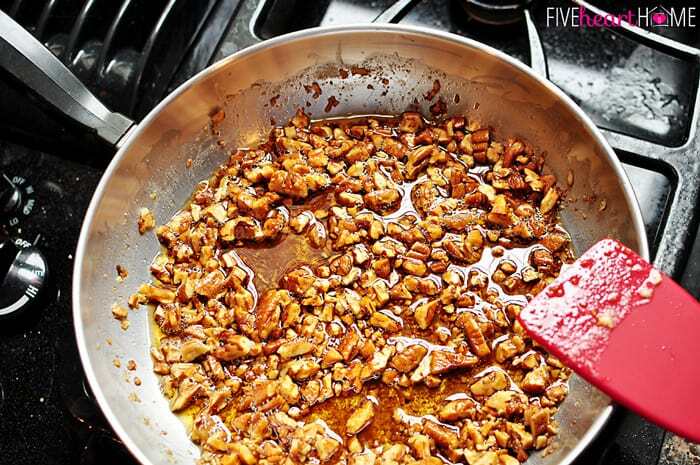 While asparagus is roasting, make brown butter pecans. In a medium saucepan set over low heat, melt butter and stir in pecans. Cook, stirring occasionally, until butter browns and pecans are toasted, approximately 5 to 10 minutes. During the process, the butter will foam and then the foam will die back down. Watch closely so that the butter turns brown but doesn't burn. 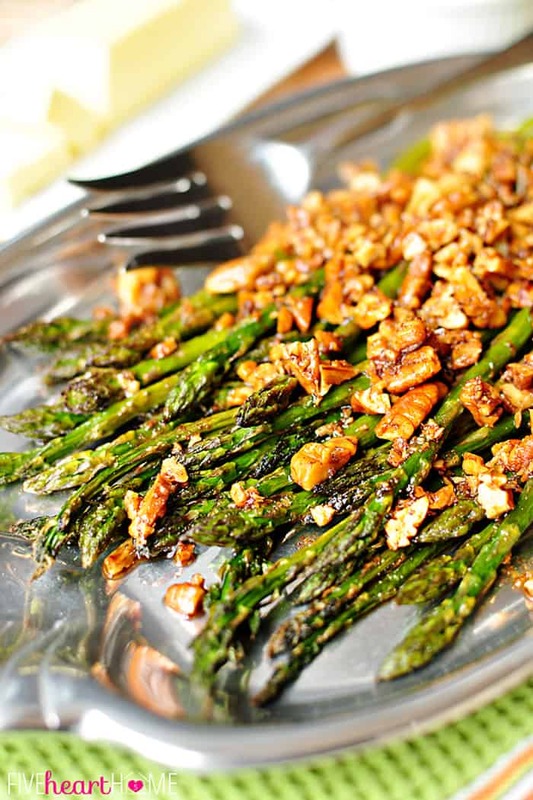 Transfer asparagus to a serving platter, pour brown butter pecans over the top, and serve hot. If you prefer, you may steam or boil asparagus instead of roasting it. Thicker asparagus holds up better to roasting than thin spears, but it also may take longer to cook. 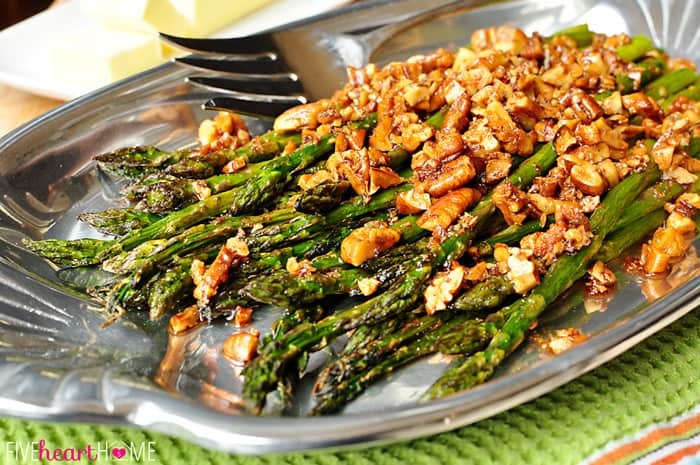 We just love roasted asparagus – never thought of topping it with pecans! Have to try this soon! Thanks, Sam….and have a great St. Pat’s day tomorrow. I’d never eaten asparagus this way before either, Deb…but now I’m not sure that I’ll ever be able to eat it plain again! I’m telling you…these nuts would be good on anything. 😉 Hope you had a fun St. Patrick’s Day! Have a great week! Thanks so much, Eric…I appreciate that! Hope you’re having a great week! Be still my heart…. 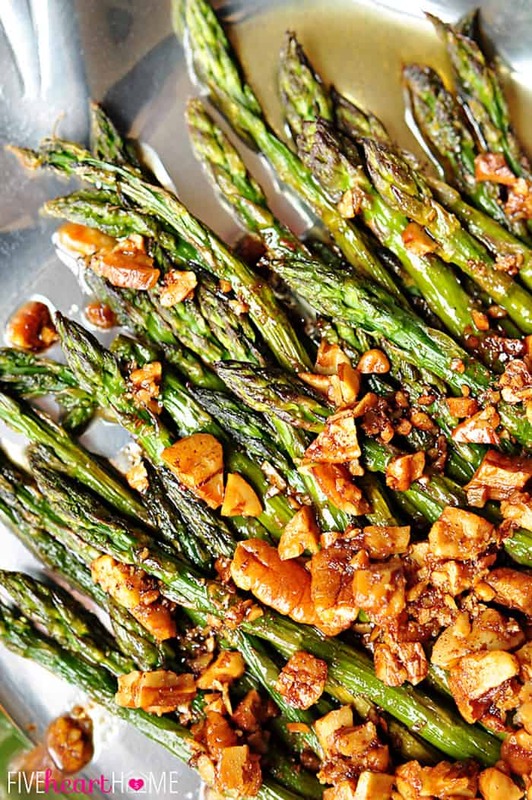 asparagus (my favorite veggie), browned butter (OH MY! 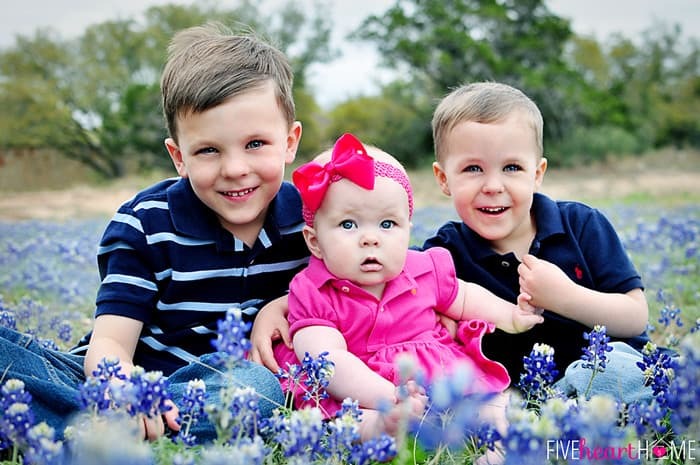 ), and adorable babies… all in ONE POST!! Ha, Becca…thank you! That made me laugh. I happen to love all three of those things, too, which made this a pretty easy post to write! 😉 Thanks for stopping by! Thanks for the recipe! It looks wonderful. I loved your post, too. The bluebonnets are gorgeous! 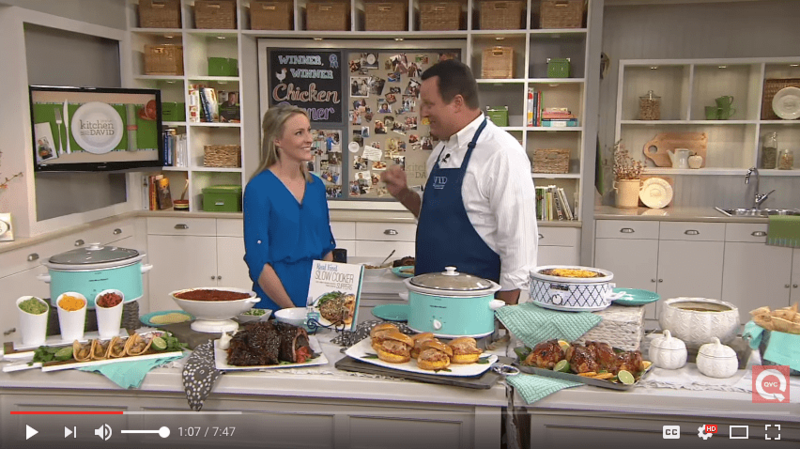 You are so sweet, Carolyn, and you’re welcome for the recipe…I hope you enjoy it! 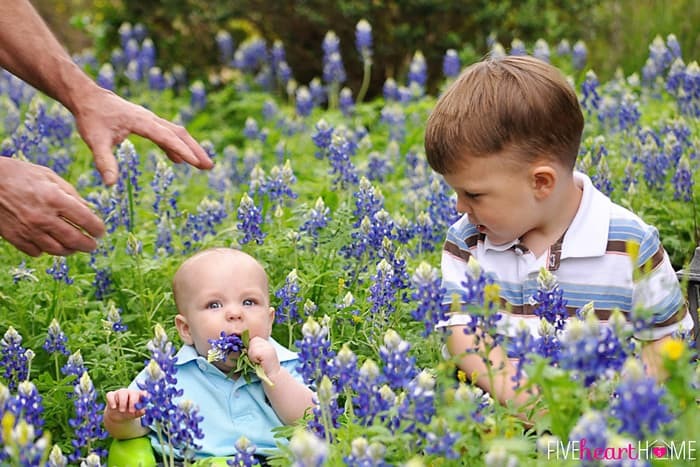 And I can’t wait to take more bluebonnet pics of my kids this year…it’s almost time! 🙂 Have a great rest of the week and thanks for stopping by! This looks delicious. I love walnuts and asparagus, so together they sound wonderful. Like the use of olive oil, my heart healthy favorite. Thanks for sharing! You’re welcome, Jodee! I’m learning that I love the addition of nuts to just about any vegetable or salad. 🙂 Thanks so much for stopping by! 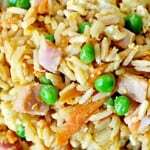 Thanks so much, Rita…I hope you enjoy this recipe! Just linked it up to your party…I appreciate the invite. 🙂 Thanks for stopping by, and I hope you have a great week! Samantha, these looks beyond amazing! 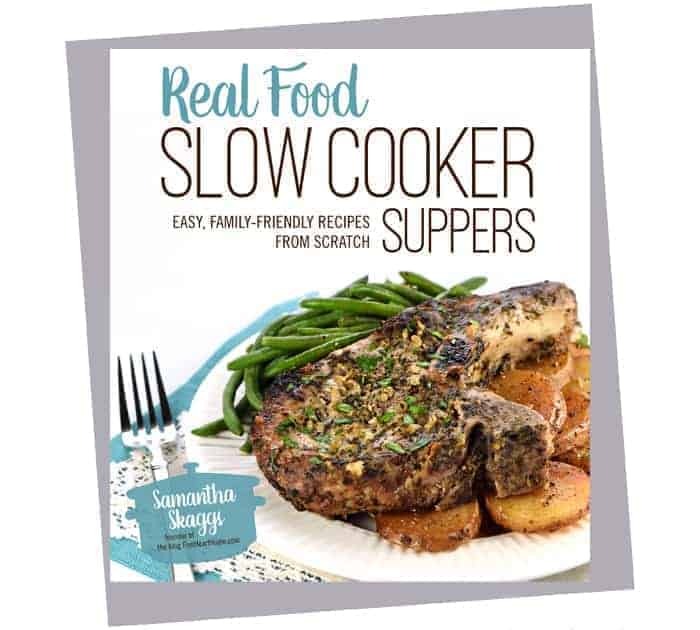 Doesn’t browned butter make everything taste fabulous? 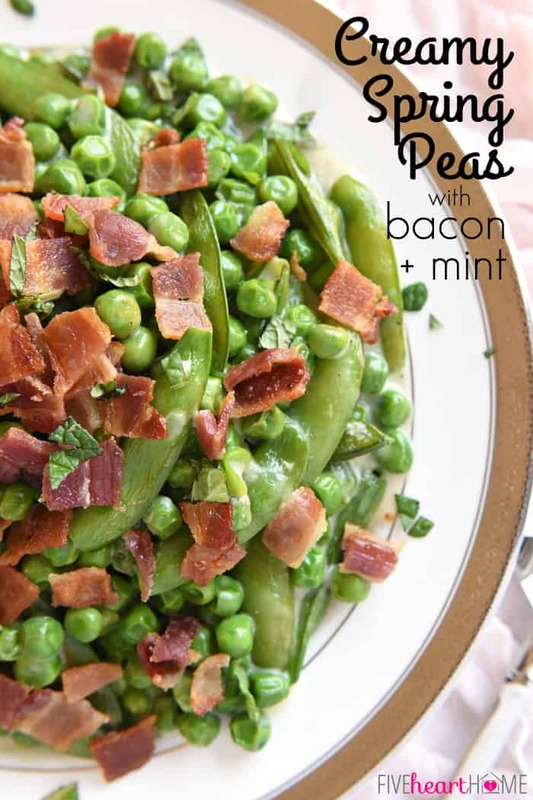 What a great Easter side dish, too. 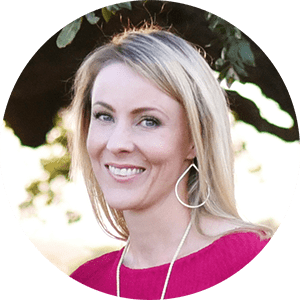 Thank you so much for sharing at Best of the Weekend and pinned! Have a happy Sunday! I’m with you, Cindy…brown butter is kind of like bacon in that it makes everything better. 😉 Thanks for stopping by and pinning, and of course, for hosting BOTW each week. Hope your week ahead is wonderful! If you love brown butter pecans, try almonds or cashews next. We also do the same with bread crumbs in brown butter. Melt the butter, add bread crumbs and brown them in the butter on med-hi heat, stirring until the butter stops foaming. The bread crumbs become toasted, feeling and sounding like sand on the bottom of the pan, but oh so good. 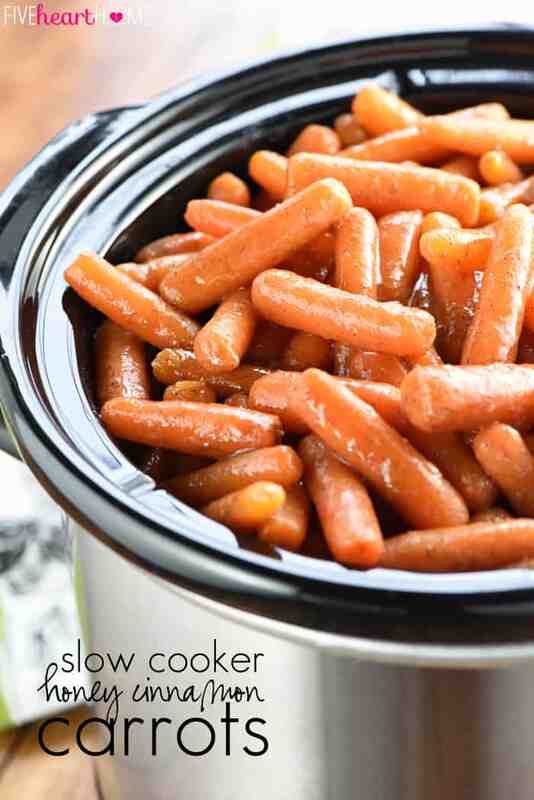 Remove from pan quickly since they do go from delicious to burned quickly.